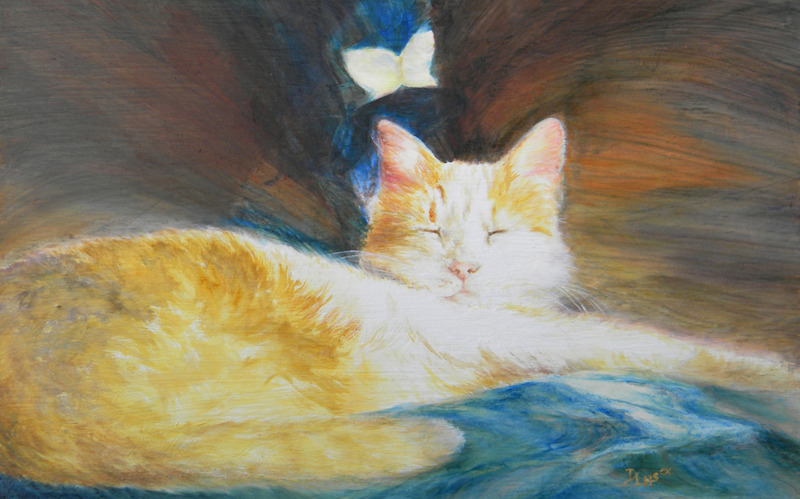 Curled on a soft blue blanket, light catches the face of my sleeping cat as a luminous butterfly echoes the points of his ears. After 15 years with us, we feel his loss keenly, but remember his unique spirit. He loved sitting in the garden, making his rounds and coming home to a warm lap. 5" x 8"7" x 11.25"9" x 14.5"11" x 17.75"13" x 20.75"13.25" x 21.25"